Are planning a Halloween or Fall party? We love this Salted Caramel Pumpkin Cheesecake Dip for cookies (we loved using the Nabisco plain wafer cookies). 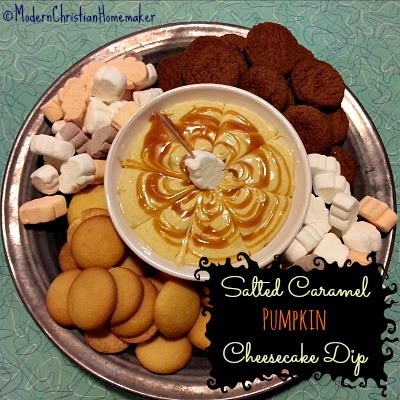 Thanks to ModernChristianHomemaker for providing us with such a quick and delicious treat!